Reliable data and voice communications at remote locations. Paying upfront for throughput speed. Hire pricing for the Auto-Deploy VSAT (Australia) can be on a weekly or monthly rate with the hire rate incrementally reducing for longer hires. There are no unexpected large bills for data usage at the end of each month. There is 24 hour, seven day a week support during the hire period. Satellite phone call rates are viewed here. Training is carried out in the undercover area at the back of Navaid's Perth office. 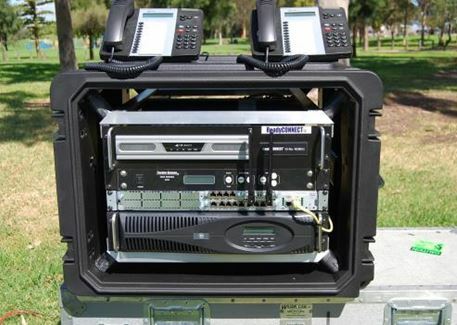 It takes about 1 hour to assemble and have the system operational to make and receive calls. The cable connections fit only one way and the manual is easy to understand.